Have you wanted to make a beanie with decreased crown? I call it a banded beanie with a decreased crown because the crown of the hat gradually decreases instead of a bulky top. The banded part is simply color blocking however you like. In this pattern and loom along series of videos, you will learn how to make a beanie with decreased crown on a 24 peg plastic loom. However, you can apply this to other size looms and peg counts. 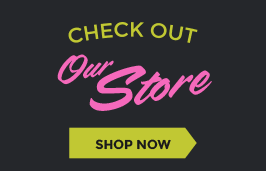 You can also find other decreased crown videos at this link. Make a baby beanie or hat with a hemmed brim with me in the following pattern and videos and become more comfortable with decreased crowns. You can adjust the pattern for a larger hat by adding more rows of color or bands till you get the size you desire. Note to adjust for the rows at the top for decreasing. We will use the E-wrap or Twisted Knit Stitch (also called TBL through the back loop) for all stitches. Feel free to change the stitches and make it your own. I’m keeping it basic but adding the banding for fun. *Color & Alternates: Please note that you can skip the brim for a rolled look and leave out rows 2-5 (4 rows total) The E-wrap is a stockinette and the stitches will roll if a brim is not created on the hat or a use a Garter Stitch Pattern for the brim. This pattern can also be done in a solid or variegated yarn without changing color. Use 2-3 strands of yarn and knit till desired length, then skip to the DECREASED CROWN section. 1.Cast on to KK with 1 strand of each color (1 white & 1 pink) in the E-wrap method. Place your slipknot on peg 1 and let the tail fall inside the loom. This will get wrapped up inside the brim or you can wrap it on your cast on pegs. Cast on wraps all pegs one time all the way around the loom and then wrap around again. Knit off (KO) which is lifting the bottom 2 loops over the top two loops (the pink & white). Your cast on row is round 1 or row 1. 5.CHANGE COLORS: tie on your second ball of white yarn to the pink strand and cut the pink. Now you have 2 strands of white. 7.ADD COLOR: Either tie on the pink to one of the white strands or make a slip knot and add the pink on peg 1. You will have 3 strands on your loom. *ALTERNATE I did this for a small fade from white into two color or you can go ahead and cut off one ball of white. 9.TAKE OUT COLOR: Cut off one of the white strands leaving 1 pink and one white on the loom. Wrap the tail end on the loom. 13.ADD Color: Tie on Pink strand and leave all 3 strands on for the rest of the hat. This masks holes in the top when decreasing. 15.We are going to divide our loom visually into 4 sections for the decreased crown (6 pegs in each section for a 24 peg loom). In round 1 of this section we will move the 2nd peg loop over to the 1st peg. Do not KO at this time. Move to the next section and do this again. Repeat 2 more times. Now KO. Wrap all remaining pegs again & KO. This completes hat Row 27. (You should have 20 pegs remaining). 16.Now take peg 4 over to peg 3 and wait to KO. Repeat for all 4 sections. KO all four pegs. Wrap all remaining pegs & KO. This complete Row 28. (You should have 16 pegs remaining). 17.Now take peg 6 over to peg 5 and wait to KO. Repeat for all 4 sections. KO all four pegs. Wrap all remaining pegs & KO. This complete Row 29. (You should have 12 pegs remaining). 18. CAST OFF the decreased crown remaining pages with draw string method. I don’t use a tapestry needle here but you can. Leave the balls of yarn attached & wrap the loom 2 times all the way around. Cut off the strands from the balls of yarn. 19.Start to the left of the peg where the working yarn is coming out of; Leaving the yarn attached take your working yarn under the loop on the peg & with your loom tool reach under the loop & scoop out the working yarns (like a purl) continue pulling all the extra yarn through the loop. LEAVE the loop on the peg. WEAVING IN THE LOOSE YARNS TO MAKE A DRAWSTRING. 20.Move to the next loop to the left and pull the working yarns through again and leave loop on the peg. Continue until ALL pegs have the working strands woven through, including the beginning loom the strands came out of. 21.Take all loops off of the loom & pull the drawstring. Feed the extra through the top & turn your hat inside out. Using a crochet hook loop the extra through a few spots tying off to secure. Cut off the access. 22.Weave in all loose strands from changing colors with hook & turn inside out. Part 1: Banded Beanie with Decreased Crown. Part 2: Banded Beanie with Decreased Crown. 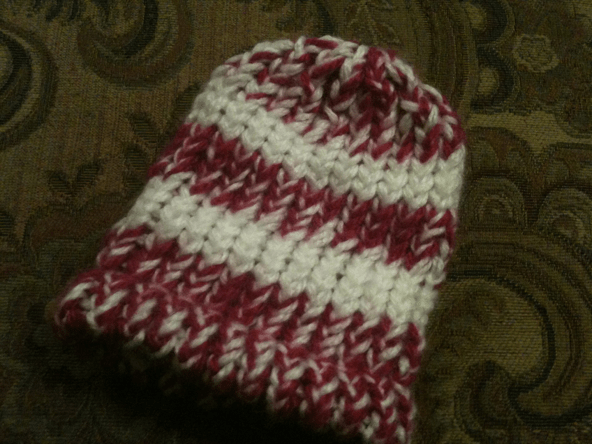 Part 3: Banded Beanie with Decreased Crown. Want more videos? Check out our Loom Along playlist at https://www.youtube.com/playlist?list=PLEA2932AB653044E9.